Having just launched the SuperSix Evo Hi-Mod, Cannondale has also revealed a new Caad12 frame available with standard brakes and disc brakes. 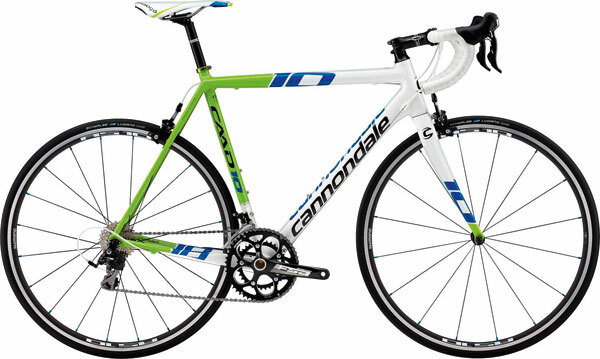 Not content with just launching one bike this week Cannondale has decided to launch a second new bike this week. 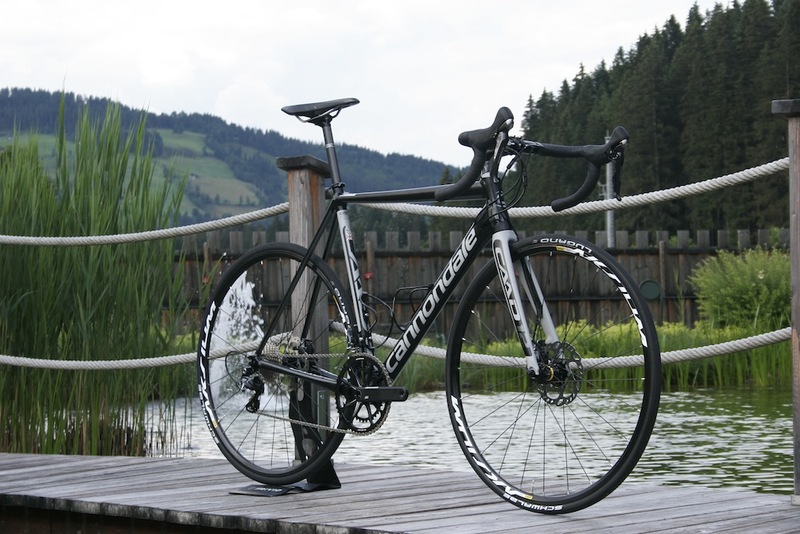 I travelled to Austria to see the new Cannondale Caad12 at the company’s grand unveiling. 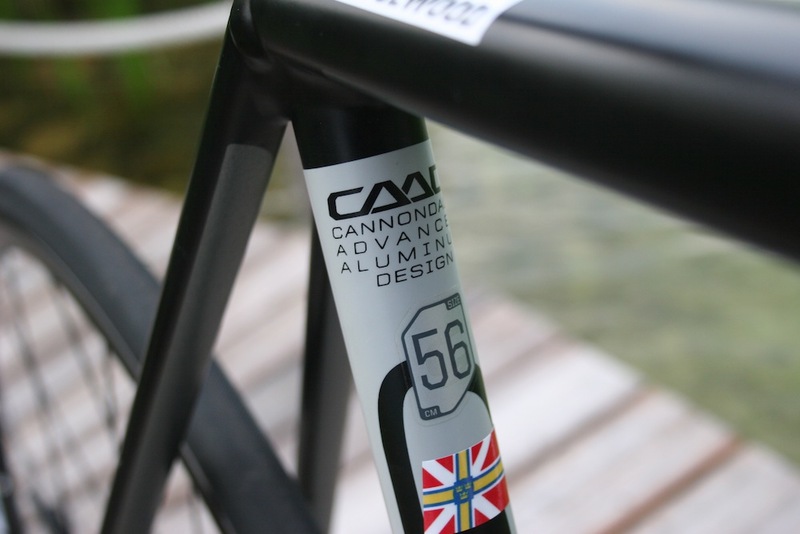 For those unfamiliar with Caad, it stands for Cannondale advanced aluminum design. After making aluminium frames popular as far back as 1983, Cannondale is proud of its heritage and expertise in this area, proclaiming that its engineers are the “high priests of ‘aluminum’, the “aluminati.” Or ‘Aluminiumati’ if you use the correct and internationally accepted spelling. The Cannondale Caad12 is essentially the updated and improved Caad 10, so what happened to the Caad 11? According to the company, “one jump didn’t seem enough. It is so good it skipped a grade. we blew straight past Caad 11 and we have no plans for it.” Personally, I don’t think you can have enough Spinal Tap references and would have turned it up to 11. 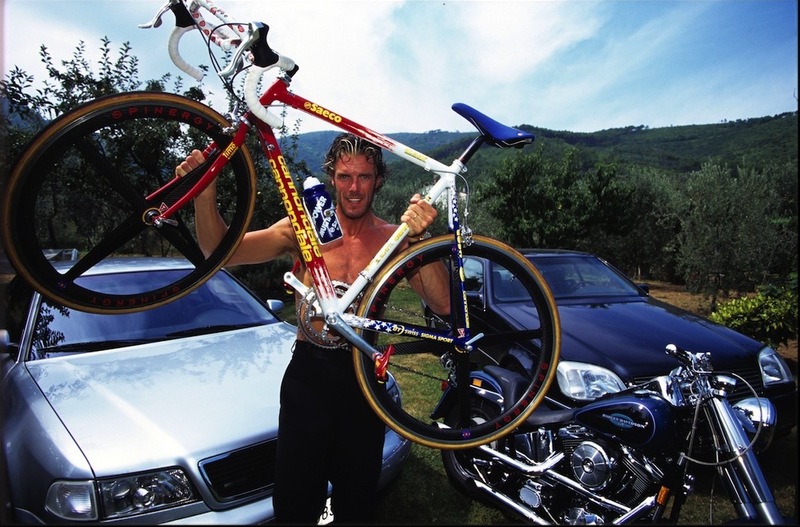 Interestingly, the last two grand tours and last worlds championships won on aluminium bikes were Cannondales. The rise of Carbon fibre has meant a decline for aluminium. Not for Cannondale, who continued to redefine what the material is capable of. Not wanting to sit back and get complacent, the US brand has sought to push the bar even further with the new Caad12. Aluminium offers robust performance at a much more affordable price point that carbon. So what is new? Here is a run down of the key areas and details. Cannondale claims the Caad12 is “explosively stiff” with 13% better stiffness to weight in the frame compared to the previous model. With regards to the fork, that is said to be 30% stiffer than before. 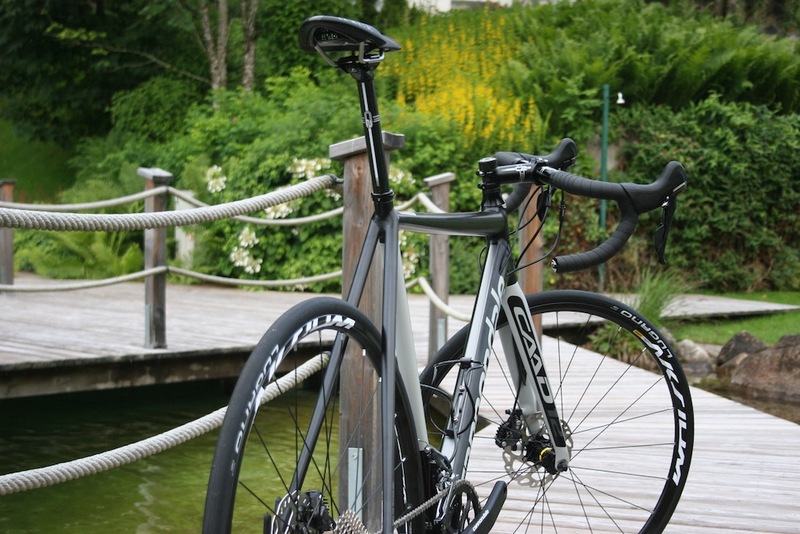 In addition the new bike has an hour glass, tapered headtube similar to the Evo, which is claimed to be 10% stiffer. People who have ridden the Caad 10 often complimented the smoothness, especially considering it is an aluminium bike. To further enhance this, more ‘Speed Save Technology’ has been integrated into the design of the Caad12. This includes special tube shapes and profiles in key areas and a new save seat post that is 25.4mm. Cannondale claims that this is equivalent to a 27.2mm post in terms of comfort. Overall the claimed improvements in comfort are substantial. The rear triangle is said to be 50% more compliant, the new fork is 10% more compliant and there is said to be 36% more comfort in the saddle. Further contributing to comfort is the tyres. All new bikes will be fitted with 25mm rubber, while there is clearance for 28mm if required. Cannondale didn’t go into too much detail, aside to say “it has enabled us to unlock hidden performance in the material”. This is because no one else is doing it and Cannondale wants to keep it secret! Flowing organic tube shapes, free from crimps, indents and abrupt transitions. At a quick glance, it looks like a carbon frame. Only the neat welds on the headtube give it away. The quality of construction truely is impressive. Compared to the Caad 10, the new rim-brake frame is 1098g with a 52g saving. The Disc-frame is (no fork) 1094g, which is 206g lighter for a size 56. System integration is also key to lowering weight. By using a proprietary seat post, head set, fork and chainset, the total system weight is impressively light. 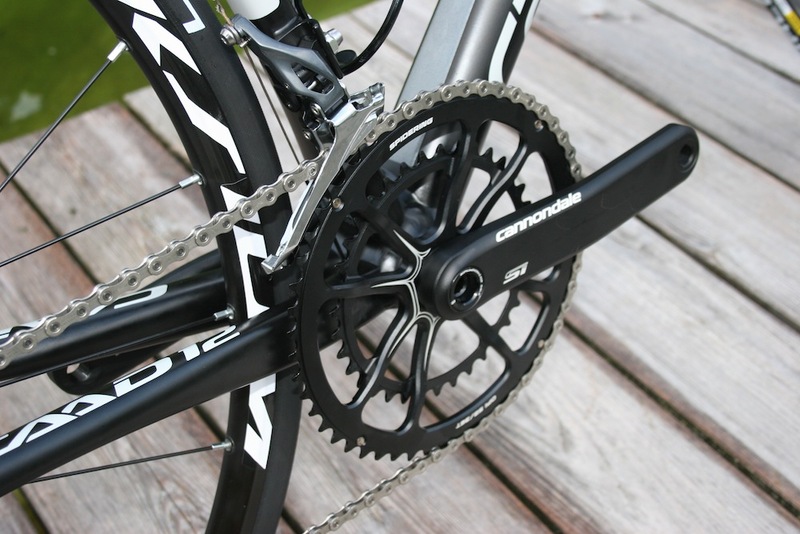 Cannondale’s Hollowgram Si and SiSL chainsets are reported to be among the lightest and stiffest available. They are used throughout the new range. 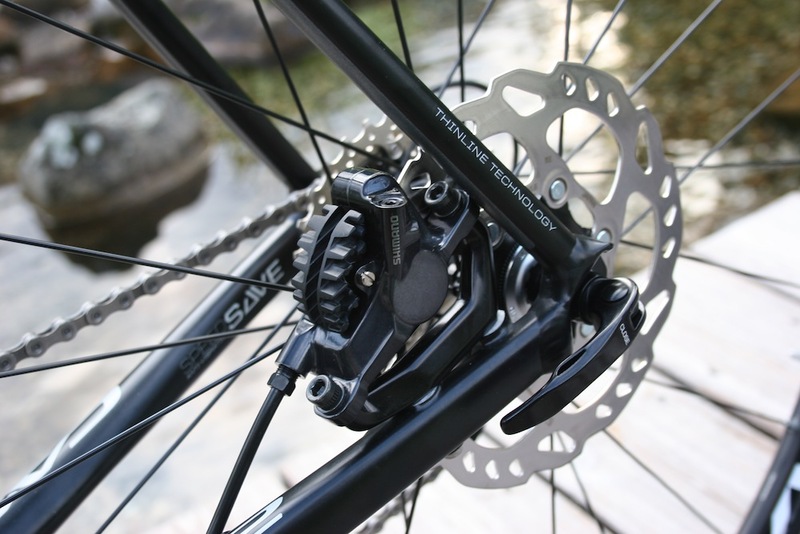 The Cannondale Caad12 will be available in both disc brake and standard caliper versions. A patent pending braze on flat disc mount is a key design feature. Most disc bikes, have been reverse engineered from the non disc version and modified to fit discs. 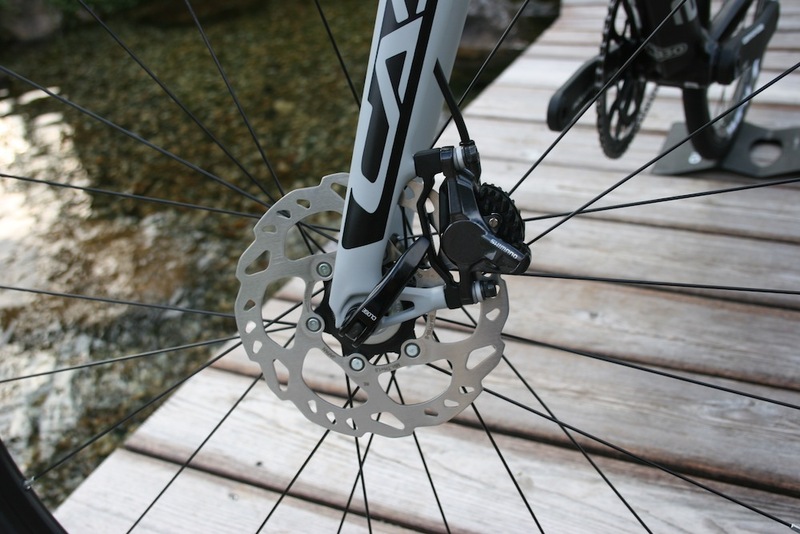 This can compromise the frame, so Cannondale designed the disc-brake bike from the ground up. The rear brake. note the braze on mount. The result is that the disc version frame is claimed to be “massively stronger” and, somewhat incredibly, is a lighter frame than the non-disc version. Impressive stuff. The Caad12 will be availble in seven models. 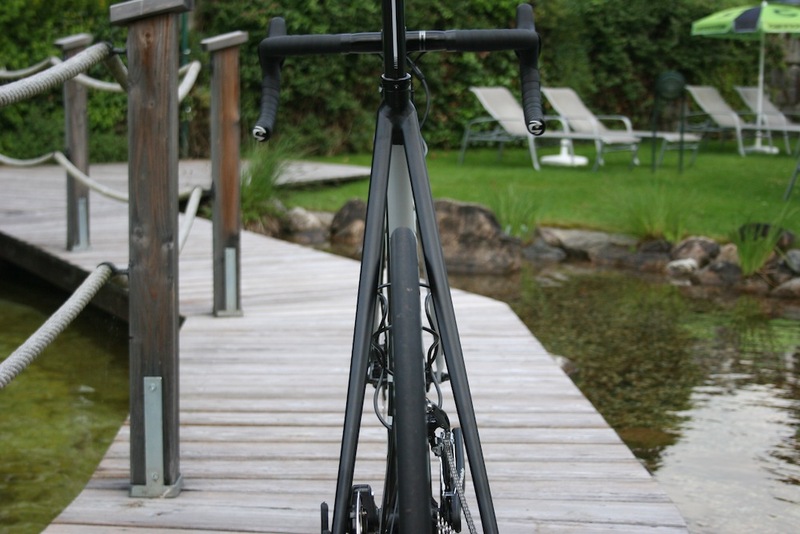 Similar to the SuperSix Evo Hi-Mod, top of the tree comes the Caad12 Black Inc. This bike actually features the same Hi-Mod fork as used on the Evo. It also comes with Dura Ace 9000, Cannondale’s Hollowgram SiSL chainset, a Hi-Mod seat post and Mavic Kysrium Pro wheels. The complete package is claimed to weigh 6.74 kg in a size 56. Impressive for an aluminium bike. The other models feature Dura Ace, Ultegra and 105 groupsets, with disc brake and rim brake versions available. The disc brake bikes are all slightly heavier in total system weight than their rim caliper brake counter parts. The model that really caught my attention was the Caad12 105. Fitted with Mavic’s solid Aksium wheels and the new Cannondale SI Hollowtech chainset. This is part of the system integration approach mentioned earlier and saves substantial weight, and offers the superior performance of an FSA Gossamer or Shimano 105 chainset. For this bike, the key comparison is the aluminium Trek Emonda ALR 105, which at 8.56kg is substantially heavier. 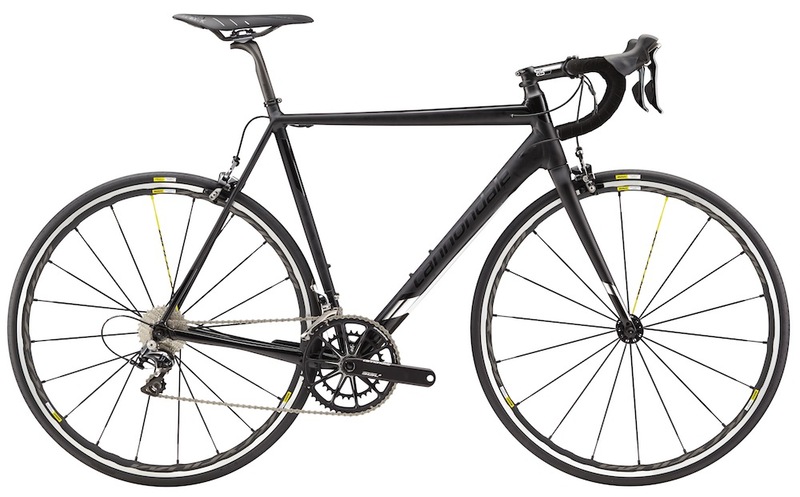 In fact, the claimed weight of the Cannondale Caad12 105 is also lighter than the carbon Trek Emonda SL 105 by 120g. 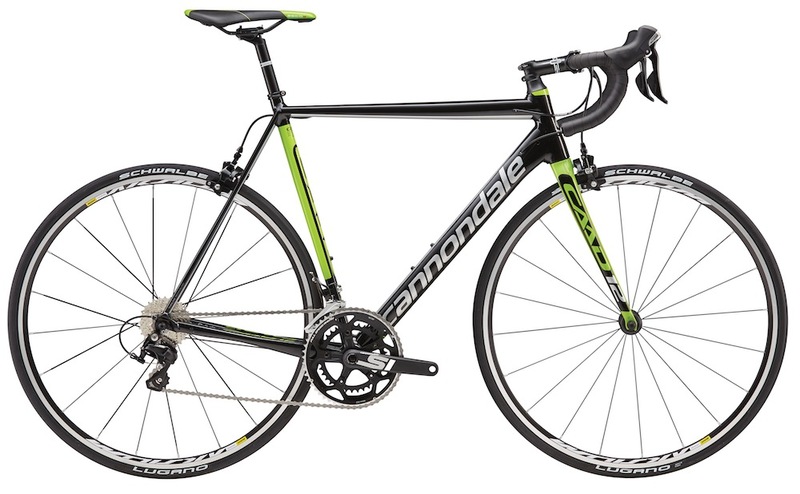 So there you have it, Cannondale has produced an alumninium bike that is lighter than a carbon bike marketed on being a feather weight. Impressive engineering indeed. Prices are yet to be comfirmed although Cannondale suggested the Caad12 105 would retail around £1250. Availability is expected to be around September 2015, but in the mean time stay tuned for details and pictures of our first ride, which we will be posting in the coming days. One final thing, Cannondale strongly suggested to me that they would be keen to provide a domestic UK team with the Caad12 for next year – an interesting proposition. For more information head over to Cannondale.